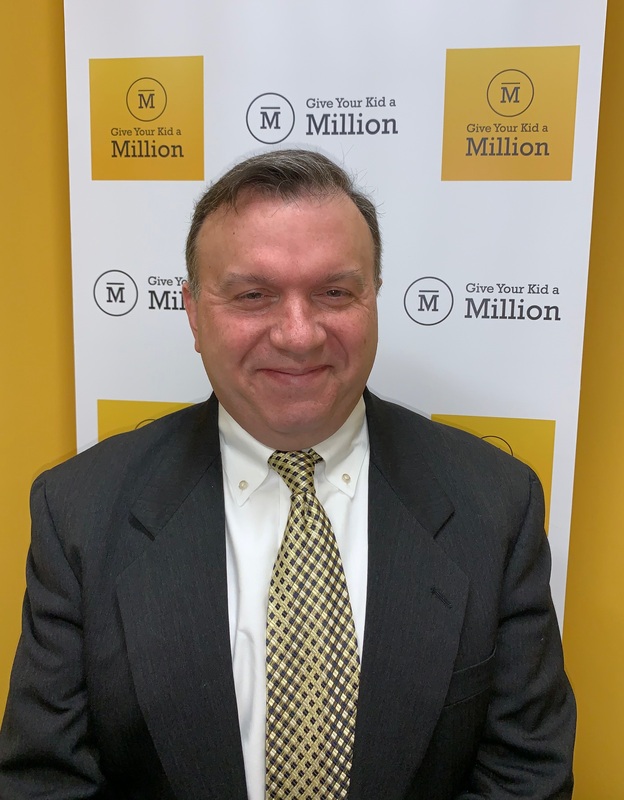 The entire team at Give Your Kid a Million is pleased to welcome Jim Burns. Before joining the team, Jim provided legal services to the company and owned his own law firm for the past 15 years. He has been an attorney for nearly 30 years. “I liked what Mike and Nick were doing so much that I decided to join them as a partner,” said Jim. Though life insurance services and law might seem very different, Jim found immediate similarities. “Both industries are about protecting the interests of your clients. They’re both about safety. Whether it’s a life insurance policy or a legal issue, the bottom line is that you’re going to work every day to make sure that your clients have protection for their families and for their assets,” said Jim. Jim is looking forward to learning all facets of the business from the ground up and will be working closely with clients and new prospects. “What I liked immediately about Give Your Kid a Million is that we are in the infancy of a national movement,” he said, “Independent insurance agents are facing more competition than ever, and digital marketing can have some complex nuances. We're able to help in that area and automate how they reach customers." Give Your Kid a Million was founded to offer a marketing platform for independent life insurance agents. With a proprietary digital marketing platform and a network that is growing nationally, Give Your Kid a Million helps agents automate their marketing and open up conversations with new and existing customers about the importance of life insurance." “There is a lot of interest in what we are doing right now,” said Jim. Jim earned a B.A. from University of Illinois and a J.D. from DePaul University School of Law. He and his wife have been married for 21 years and have a 17-year old daughter. “Also, I love the fighting Illini,” noted Jim. If you’re ready to revitalize your marketing efforts, talk to us. We can help you make the most of digital marketing and social media with our done-for-you strategy.